Saturday Star, 19 December - When President "Angazi" talked about Nkandla economics. Sunday Independent, 6 December - Myburgh's role is no big surprise. Link to follow. City Press, 6 December - Some are more equal than others - a short extract. SA flunked golden IT opportunities - The industry provided an incredible chance to create new jobs but the political will failed. As soon as the link is online we will post it. 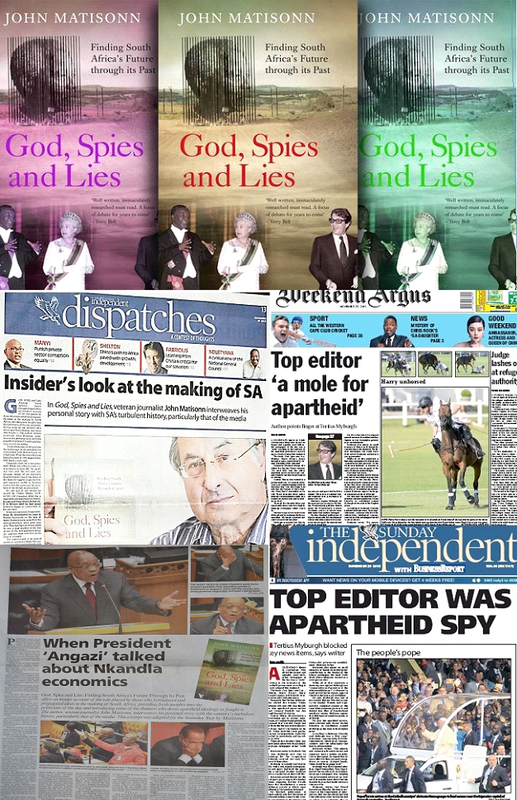 Daily Maverick - God, Spies and Lies: How journalists, spooks and politicians shaped South Africa. Click on the link below. The Sunday Dispatch gave the book a front page lead - An insiders look at the making of South Africa. Click on the link below.